The influenza is virus has a global impact on human populations. Much research effort has been directed towards understanding how the human immune system combats influenza virus infection. The cellular target of this virus is the epithelial cells of the respiratory tract. In order for the immune system to successfully combat this pathogen, virus specific cytotoxic CD8+ circulating lymphocytes must migrate to the site of infection. It has been established that in order for these cytotoxic CD8+ lymphocytes to successfully kill virally-infected cells, it must be preceded by the innate immune response. 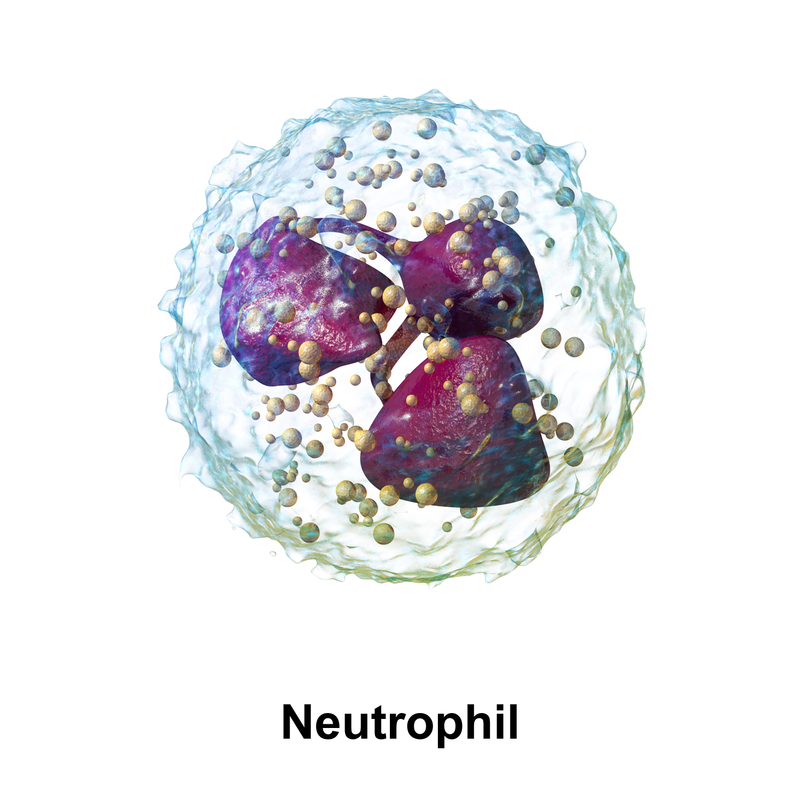 A key player in this first response are Neutrophils (see image below) These cells are generally the first cell type to cross the blood vessel epithelium into the distressed tissue and are responsible for generating chemical signals that alert different types of immune cells. Although this relationship between Neutrophils and aspects of the adaptive immune response has been established, the underlying molecular mechanisms have been unclear. Dr. Kihong Lim and his colleagues at the Department of Microbiology and Immunology, David H. Smith Center for Vaccine Biology and Immunology, University of Rochester, Rochester, NY have investigated the mechanism of this immune response to infection by the influenza virus. What they uncovered was an interesting process. Their studies have shown that the subset of cytotoxic CD8+ lymphocytes specific for influenza infected epithelium cells is dependent upon the presence of Neutrophils at the site of infection. The migrating Neutrophils leave in their wake a chemical trail; that chemical is a particular chemokine – a class of substances that serves as a powerful attractant to circulating lymphocytes – CXCL12. It is this CXCL12 that is a necessary requirement for the procurement of virus specific CD8+ lymphocytes at the infection site and for their subsequent ability to kill infected respiratory epithelial cells. The results of this work contribute significantly to the fundamental understanding of the complex interactions that are required to mount a successful immunological assault upon a virus-induced infection.